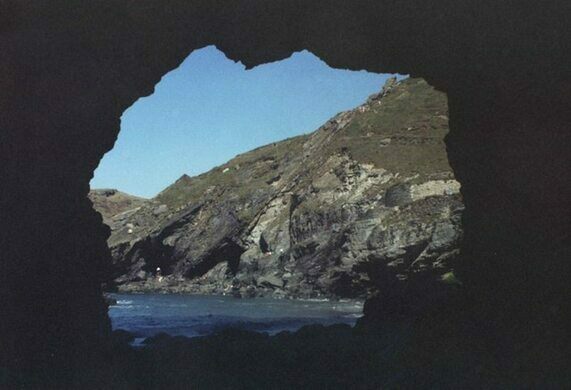 It is said the legendary wizard once lived in this sea cave beneath Tintagel Castle. 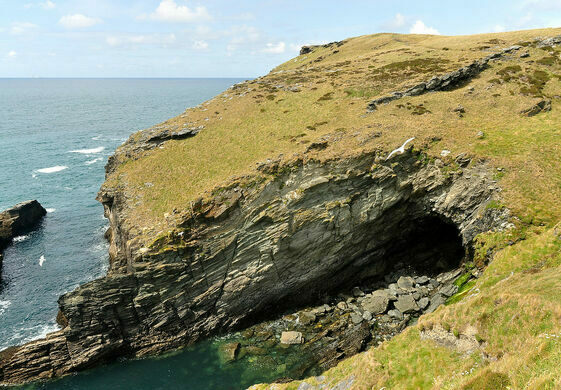 In the coastal cliffs beneath Tintagel Castle lies an echoingly atmospheric cave. 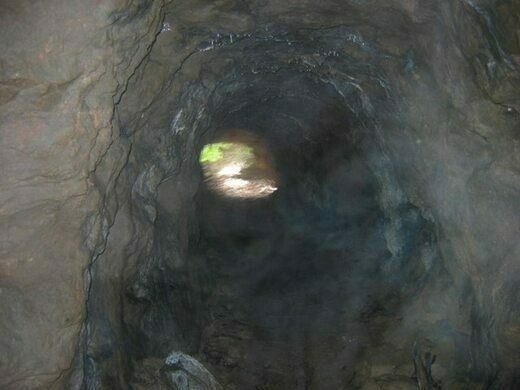 And if the stories of old are to be believed, the cave may once have been home to Merlin, the wizard of Arthurian legend. These "bridges" help confused bats cross the road. A legendary rocking stone, returned to its clifftop perch. Most prosaically, Merlin’s Cave is a 330-foot-long sea cave formed by marine erosion. It stretches all the way beneath the craggy head of land on which Tintagel Castle stands, allowing you to enter from one side and exit out the other. It is, without doubt, an impressive cave in its own right. What makes the coastal cavern extra special, however, is its association with the legend of King Arthur and the wizard Merlin. Tintagel Castle has long been linked with King Arthur, as far back as Geoffrey of Monmouth and his book the Historia Regum Britanniae, written circa 1135. Ever since, Tintagel has been connected with Arthur, although many historians argue that the evidence connecting the two (and indeed the very existence of Arthur and co.) is sketchy at best. Either way, people love a good story. And Tintagel has become a physical embodiment of this tale, both the castle above ground and the cave below. Today, the cave is inextricably linked to Merlin, so much so that local authorities hired the artist Peter Graham to carve Merlin’s bearded face into a rock near one of the cave entrances. It was immediately a controversial move, with some people calling it vandalism and the dumbing down of British history. Still, it’s there now and people continue to walk down the rocks to explore the sandy-floored cave at low tide, imagining Merlin walking there, carrying the future king in his arms. 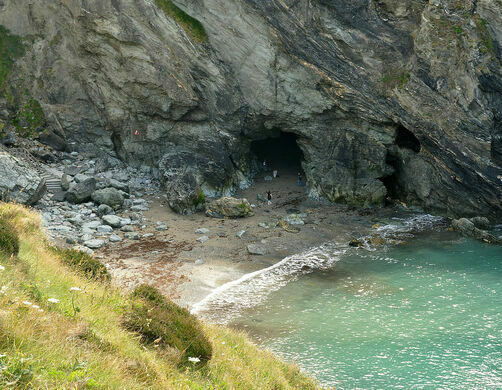 Check a tide table, or ask a knowledgeable local, before venturing down to Merlin’s Cave. If the tide is in you won’t be able to explore the cave unless you have a canoe or kayak. But when the tide is out you can walk all the way through. Just don’t forget your torch. A whimsical cottage from the 1300s with a preserved Victorian-era post office inside. The historic cave is both a symbol of superstition and black magic and inspired one of the early Christian converts in Botswana. A carved bench marks the Scottish cave that inspired the classic adventure novel "Treasure Island." Legend has it the famous Robin Hood would attend mass at this 12th-century Cistercian abbey in Sherwood Forrest.